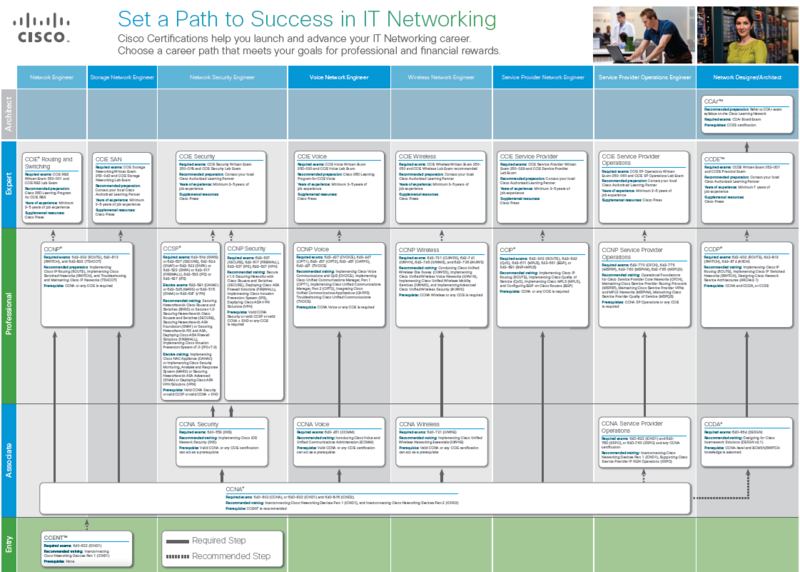 I did however, come across this nice document laying out Cisco Certification Paths (pdf). It's not new news by any means, but it's laid out nicely and is a good at a glance resource. © 2011 Cisco and/or its affiliates. All rights reserved.link to PDF.